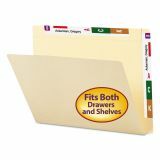 Dual purpose folders have both top tab and extended 9 1/2" end tab for use on shelf or in drawer. 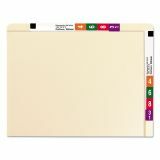 Straight cut allows color-coding on either or both tabs. 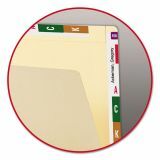 Tabs are reinforced for extra durability. 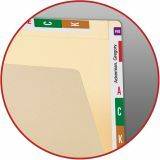 Smead Conversion File Folders, Straight Cut Top Tab, Letter, Manila, 100/Box - Conversion folder fits in a standard drawer yet has a full-height extended end-tab and a double-thick top-tab. 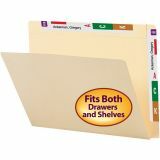 Perfect for files that are stored in shelf systems, but are frequently used and temporarily stored in desk file drawers. 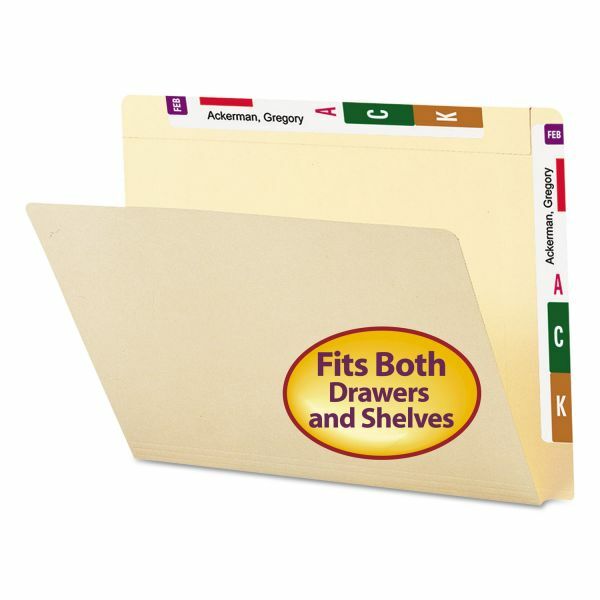 Or for files that are used in shelf filing systems, but are later moved to storage boxes for archives. 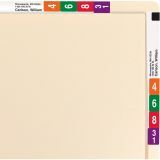 Other features include interlocking two-ply tab, 11 point manila stock and rounded top corners in front and back.